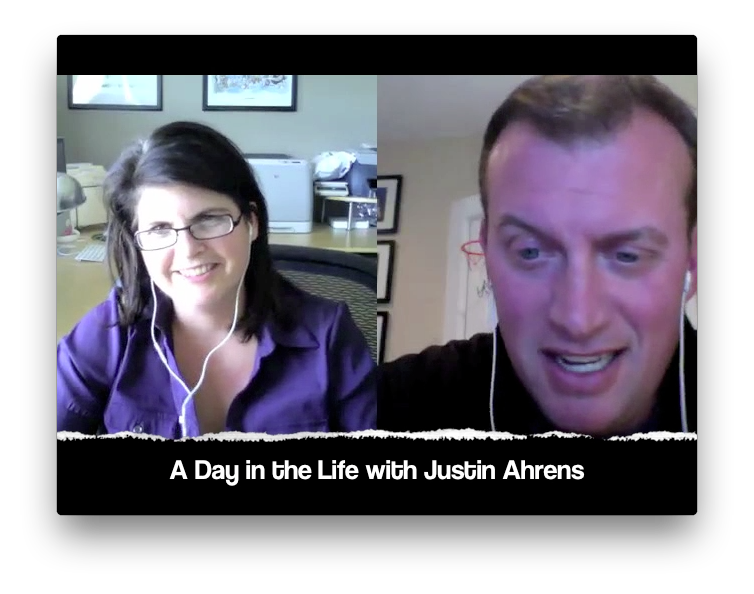 I was lucky to have had the opportunity to reconnect with Justin Ahrens back in September. Yeah… this post is past overdue… But as the old adage goes, better late than never. One of the things that I had to laugh at was for this interview and another one I had done with another designer – for each I had another fellow HOWie help me out with some questions for both. This realization after I just recently recruited her to help me out with writing the articles for the upcoming iNote. Yes, Katie Raymon, watch out for this amazing woman. Her writing is mesmerizing and authentic. I hope by collaborating with me, she will be closer to finding her own creative voice. So back to Justin. I won’t be posting the full interview this time. But wanted to share his synopsis of, “A Day in the Life of Justin”. This intrigued me. A man I have observed with so much going on from running a successful creative studio, making a difference in the lives of children in Africa and then to top that all off, bring it home to his family of four kids and what I can only assume is one amazing wife. There is a need to realizing the value of ourselves and what we bring to the creative industry. By encouraging a community that respects and appreciates what each of us bring to the table. This is just a quick snapshot of the fabulous conversation we had back in September, I am working on featuring Justin in the next iNote for HOW in 2013. Will you be there?